Those are my crunchies for the pawty! And you spoiled them with that wet stuff. 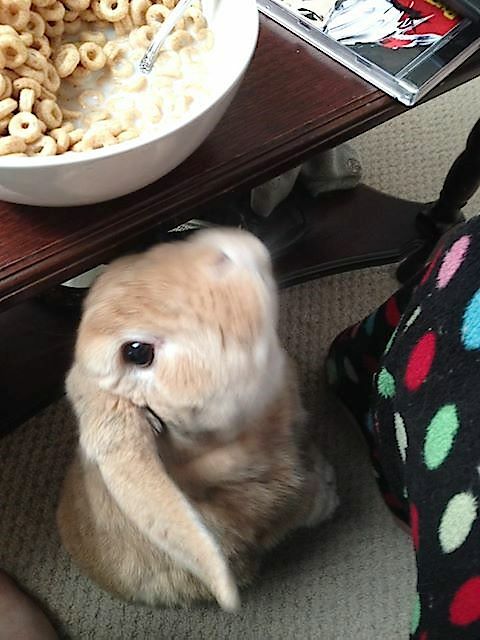 This very soft little rabbit requires some dry Cheerios right away!